If you have been impatiently waiting the arrival of Bad Boys for Life, you'll have to wait a whole lot longer. 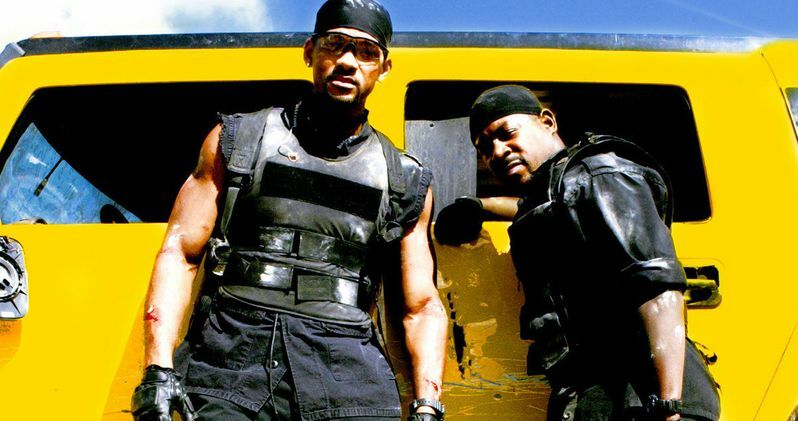 The sequel starring Will Smith and Martin Lawrence has been pushed off Sony's release slate. This news comes with a whole bunch of new release juggling, which first and foremost affects Sony's Spider-Man spin-off Silver and Black. Just a few days after new Silver and Black plot details emerged, Sony Pictures has given it a new date, pushing it out of late 2018 and into early 2019. The studio has moved the Silver Sable and Black Cat adventure from October 19, 2018 to February 8, 2019. While no exact reason was given for this release date push, it will now put the movie up against Warner Bros.' The LEGO Movie 2, with another Warner Bros.' movie, Isn't It Romantic and an untitled Fox/Marvel film arriving on Valentine's Day, February 14, 2018 and Universal's Bride of Frankenstein arriving February 15. Deadline didn't offer any details about why the change was made, but it's likely because Sony recently moved The Girl in the Spider's Web to October 19, 2019, where it will face Warner Bros.' Jungle Book Origins. Still, this spin-off, centering on Silver Sable and Black Cat, which is said to spawn an all-female Spider-Man universe, seems to be in a much less competitive frame in its new date, so it certainly could bode well for this project. Gina Pryce-Blythewood has come aboard to direct from a script by Christopher Yost (Thor: Ragnarok), which was also worked on by Westworld co-creator Lisa Joy. No cast members have come aboard yet, and with this new release date now in place, it seems likely that production won't begin until sometime next year. However, no production schedule has been given for Silver and Black, and it isn't clear if the studio is actively casting for the Silver Sable and Black Cat roles at this time. Sony also shifted its release calendar around for a number of other movies, most notably, Barbie. Sony has pushed up its Barbie movie, which once had Amy Schumer set to star before she backed out, from June 29, 2018 to Wednesday, August 8, 2018, where it will open just a few days before the Warner Bros. shark thriller Meg and Univeral's Scarface reboot on August 10. In its old date on June 29, 2018, Barbie would have had to face the Warner Bros.' comedy Tag starring Jeremy Renner and Ed Helms, and STX Entertainment's comedy I Feel Pretty, starring Amy Schumer and Emily Ratajkowski. As of now, the studio hasn't confirmed who will star as the title character, but we reported just a few weeks ago that Anne Hathaway may be in line to replace Amy Schumer as the new Barbie. In other release date news, Sony has taken Bad Boys 3 off the calendar, yanking it from its November 9, 2018 date. Deadline reports that the script is still being worked on and Will Smith is interested in coming back, but it doesn't sound like anything is set in stone at this time. The studio is moving Holmes and Watson from August 3, 2018 up to the November 9, 2018 slot now vacated by Bad Boys 3, with Sicario 2: Soldado taking the June 29, 2018 date left vacated by Barbie. Finally, the studio is pushing Breaking Bad director Michelle MacLaren's feature adaptation of The Nightningale from August 10, 2018 to January 25, 2019, where it is currently the only movie set for release on that date. There are three movies arriving the weekend before, though, with Universal's Unbreakable and Split sequel Glass, 20th Century Fox's Pigeon Impossible and Open Road Films' Playmobil all opening on January 18, 2019.